The health benefits of honey have long been realised by humans to treat a variety of ailments. Honey contains powerful antioxidants with antiseptic and antibacterial properties. Honey has been used medicinally for at least 2000 years – Aristotle referred to pale honey as being “good as a salve for sore eyes and wounds” – but, it’s only recently that the antibacterial, and anti-inflammatory and antioxidant properties of honey have been fully documented. The use of honey in medicine has traditionally been categorised as ‘alternate medicine.‘ However, its therapeutic uses are now well researched and understood. The NHS, for example, is now one of the largest purchasers of New Zealand manuka honey. which is highly efficacious when used for dressing wounds and burns . 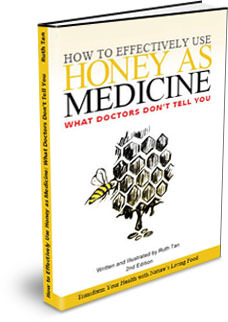 Many people buy honey as a route to reducing the effects of allergies…..particularly pollen allergies. However, unless the honey you use contains some of the specific pollens which are causing your allergy, it is unlikely to have a significant therapeutic effect so, it’s always best to find a local source of honey. Many supermarket honeys are heat-treated to extend shelf life. Excessive heat treatment can adversely affect the therapeutic properties of honey. New research shows that eating honey improves blood antioxidants, which helps to prevent narrowing of the arteries. Weight for weight, honey contains about the same amount of antioxidants as spinach and a similar range to that of apples, bananas, oranges and strawberries. Honey has many other medicinal uses – mix it with lemon and hot water to soothe sore throats and coughs, with hot milk to aid sleep, and as a dressing for athlete’s foot and other fungal problems and to rehydrate dry skin. Honey is now widely used in the treatment of acne, burns, gastric ulcers and increasingly for persistent wounds, including those infected with the super bug MRSA. “It is generally accepted that honey is a respectable therapeutic agent, and there is rapidly increasing use by clinicians, as well as the general public” says Dr Peter Molan of the University of Waikato, New Zealand, a leading authority on the healing properties of honey. Dr Molan cites nearly 70 research papers covering gastro-enteritis, peptic ulcers (honey kills the the bacteria Heliobacter pylori that causes the ulcer) and eye conditions. But by far the commonest therapeutic use is for skin problems and wounds. In one study, 59 cases of wounds and skin ulcers that had failed to respond to conventional treatment for up to two years became sterile and odourless within a week after honey was applied. In another trial, patients given a daily application of honey recovered more quickly from necrotising fasciitis – the ‘flesh eating bug’ – than those treated with surgery and antibiotics.